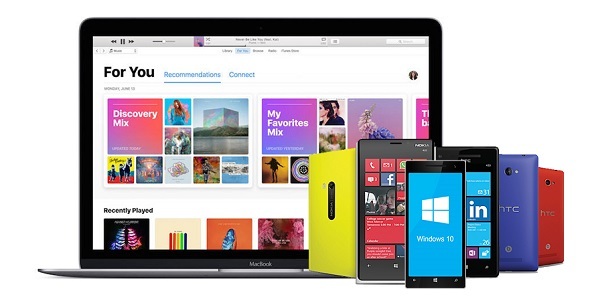 Q: apple music in a windows phone? Could we use apple music in a windows phone, if not, will it be possible in the future? Question on Apple Communities. Windows Phone is a family of discontinued mobile operating systems developed by Microsoft. There are many Windows smartphones available, such as Snapdragon 835, Lumia 950, HP Elite X3 and more. Although Microsoft has officially confirmed the end of its Windows Phone, many people still use it. At a good entry price, with a good camera, Windows Phone is pretty excellent. Why We Can't play Apple Music on Windows Phone? Windows Phone is a fine OS, which is compatibility with many third-party devices. However, Apple Music app is not available for Windows Phone. It's not Microsoft's fault that Apple has been unsupportive of Windows Phone. And you can't play Apple Music on Windows Phone directly due to FairPlay DRM technology. Don't worry, we will show you the simple guide to get Apple Music played on Windows Phone. Windows Phone supports audio formats, including WAV, MP3, WMA, AMR, AAC/MP4/M4A/M4B and 3GP/3G2 standards. Apple Music songs are encoded in AAC format with DRM protection, which can be playable in the Music app on your iOS device or Android device. In order to play Apple Music on Windows smartphones, the first thing you need to remove DRM from Apple Music files. Here you need a third-party Apple Music DRM removal software. 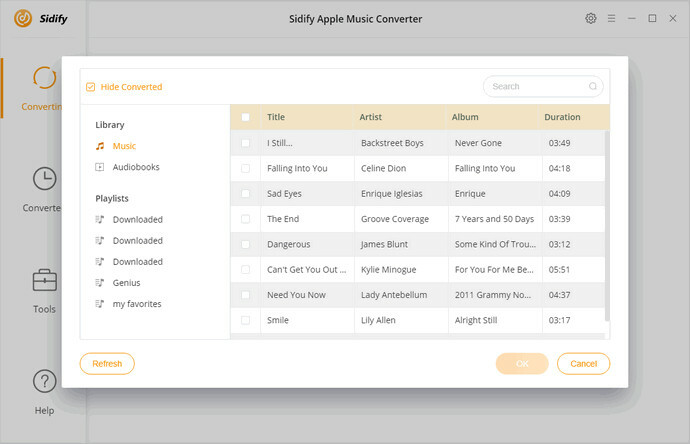 Sidify Apple Music Converter is such a tool for you. 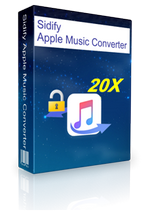 With it, you can not get rid of DRM protection from Apple Music songs, but also can convert them to unprotected MP3, AAC, WAV and FLAC at fast speed. Thanks to this powerful program, we can enjoy Apple Music songs on almost popular mobile devices, including Windows smartphones, PS4, Xbox One, Google Home, Amazon Echo, Roku, Google Play, etc. 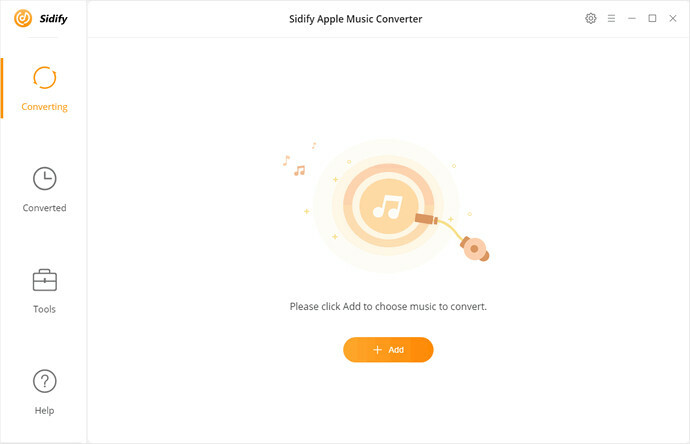 Now the following tutorial will guide you how to remove DRM and convert Apple Music songs to Windows Phone supported audio formats with the help of Sidify Apple Music Converter on your PC. Before started, download the program on your computer. Click + button to add Apple Music you want to play on Windows Phone, it will pop up the iTunes library window, you can select one or more tracks from the list. Then hit OK, all the selected tracks will list on the main interface. It is important to note that the files you added need to be downloaded beforehand. Click Settings button in the top right corner of Sidify, you can select output format as MP3 from the popup window. Because MP3 is the most common formats. Besides, you can also set the Output Quality and Output Folder as you need. 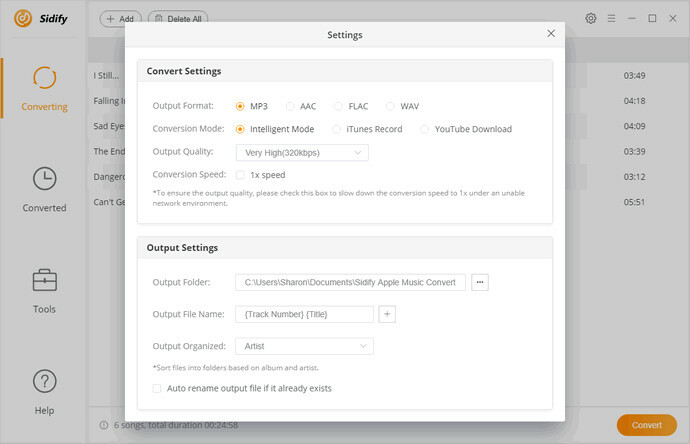 Click Convert button to start converting Apple Music to MP3 process. Once the conversion completed, you can click History button to locate the converted Apple Music files. There are two methods for you to transfer the converted Apple Music songs to Windows phone. The first way is to continue using iTunes to manage your music collection. At first, you need to import the converted Apple Music to iTunes. 1. Download, install and open the Windows Phone app for Desktop on your computer. 3. Under Sync music, videos, and more from, select iTunes. 4. Your music and other media will show up in the Windows Phone app for Desktop, allowing you to choose what to sync with your phone. 5. 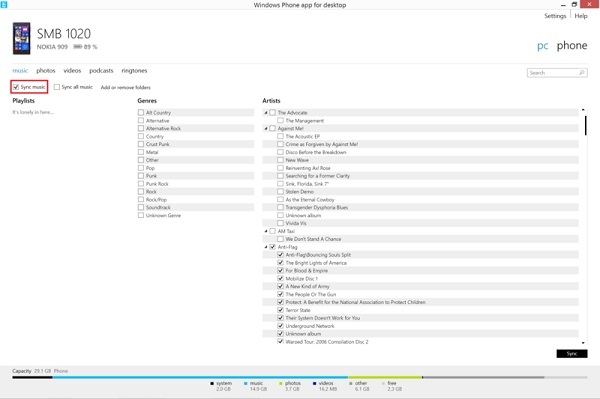 Tick the Sync music box, and then select the music files you want add to the Windows Phone. Finally, click Sync button to start the process. The other method is the common way: see your Windows phone as a hard drive and move the converted Apple Music files to the Music folder on the device. 1. Open Windows Explorer (on Windows 7) or File Explorer (Windows 8 or 10). 2. Connect your Windows phone to PC using USB cable, and it will show up as a device in the left pane. 3. Click on your phone on the left, then on the hard drive icon. 4. Inside you will see a Music folder, then you can drag and drop the converted Apple Music files to the folder. Once your Apple Music files added successfully, you can start playing them on your Windows Phone freely.